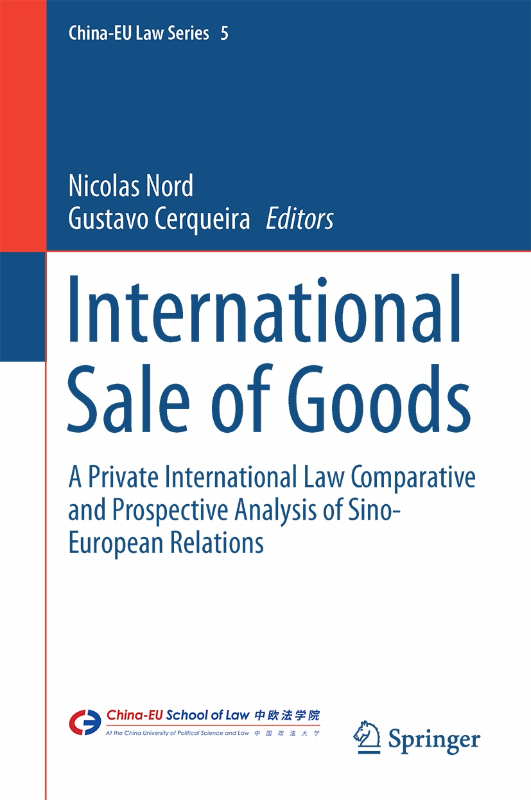 International sale of goods – A Private International Law Comparative and Prospective analysis of Sino-European Relations, Niicolas Nord, Gustavo Cerqueira (Eds. ), Pref. Cl. Witz, International Sale of Goods, China-EU Law Series 5, Springer, 2017, 183 pp. 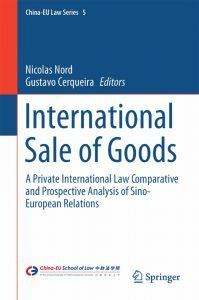 This book provides an in-depth study of Private International Law reasoning in the field of international sale of goods contracts. It connects the dots between European and Chinese law and offers an unprecedented transversal and comparative legal study on the matter. Its main purpose is to identify the consequences of European rules on Chinese companies and vice versa. The first part addresses the conflict of jurisdiction and conflict of law rules, while the second part discusses in detail the practical importance and the impact of arbitration, which is becoming more common thanks to its flexibility. The third part focuses on the Vienna Convention on Contracts for the International Sale of Goods and the Unidroit Principles of International Commercial Contracts and carefully analyses their use. The final part examines contracts involving consumers. The chapters of this book reproduce the lectures given during the fifth symposium of the China-EU School of Law (CESL) — International Symposium Series, held on the 20th and the 21st of June 2016 at the China University of Political Science and Law, in Beijing, and jointly organised by the University of Strasbourg and the China-EU School of Law at the China University of Political Science and Law. Prefaced by Professor Claude Witz (Saarland University) and foreworded by Mrs. Cheng Minzhu (Supreme People’s Court of PRC), this book is organized by the French Professors Nicolas Nord (University of Strasbourg) and Gustavo Cerqueira (University of Reims).